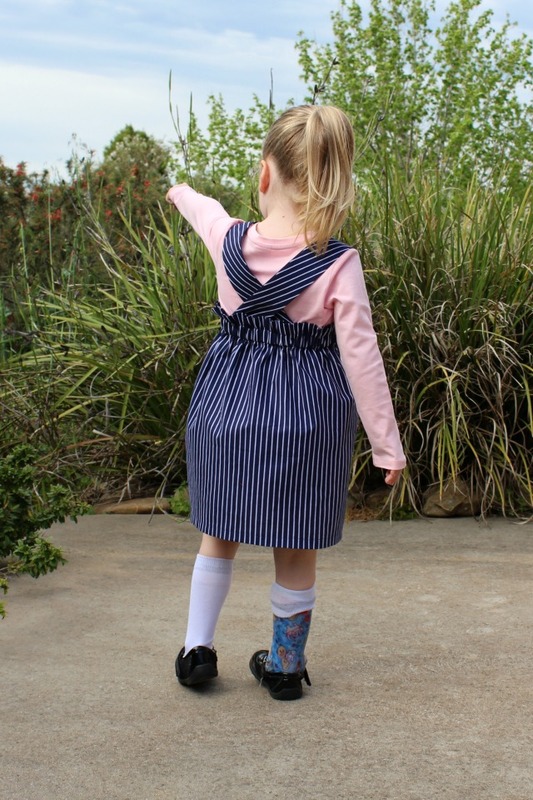 You can't go wrong with a pinafore dress and knee high socks! 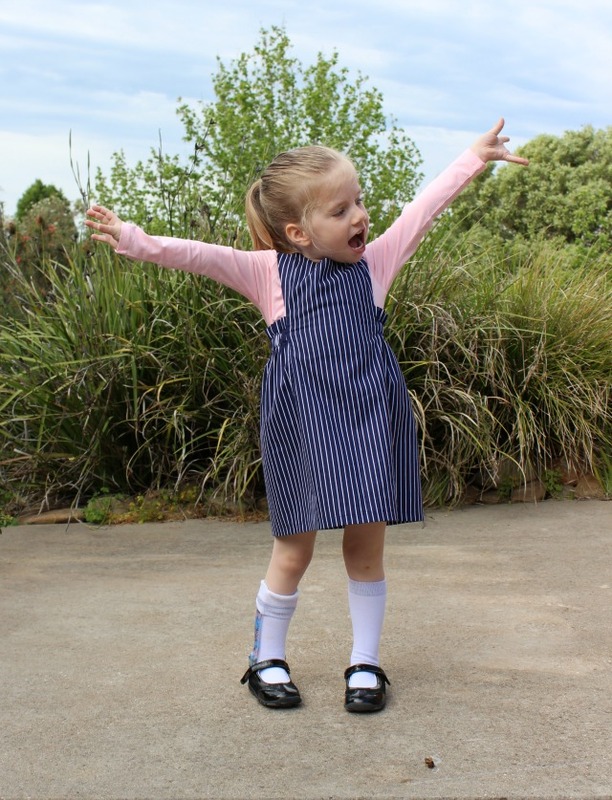 This is the Pembridge Pinafore from Lil Luxe Collection. 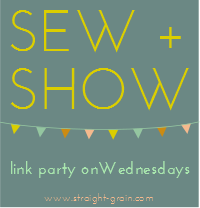 I used a simple blue and white stripe I've had in my stash for ages but just never really known what to do with it. 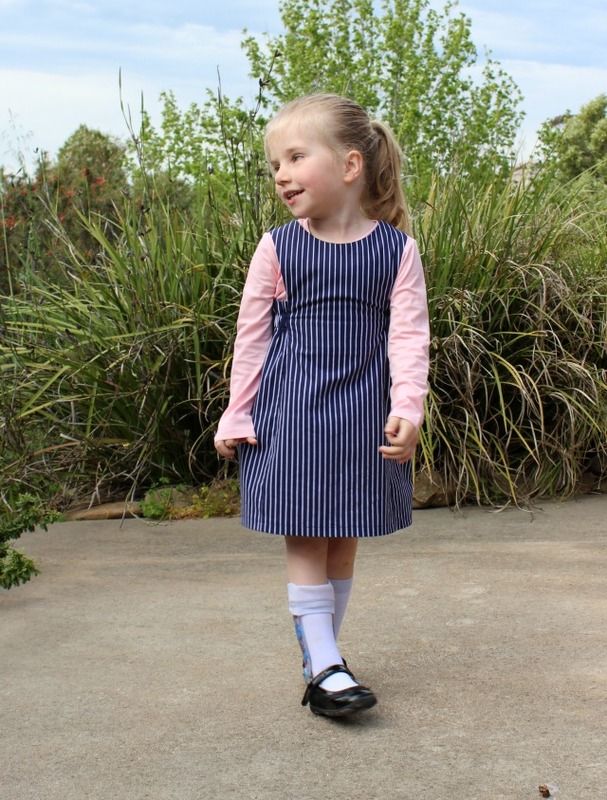 It's great for layering with long or short sleeves so I hope she'll get a lot of use out if it. The PDF itself wasn't very big and was very quick to go together with everything lining up nicely. There are two views, one with a button down back or a crossover strap. 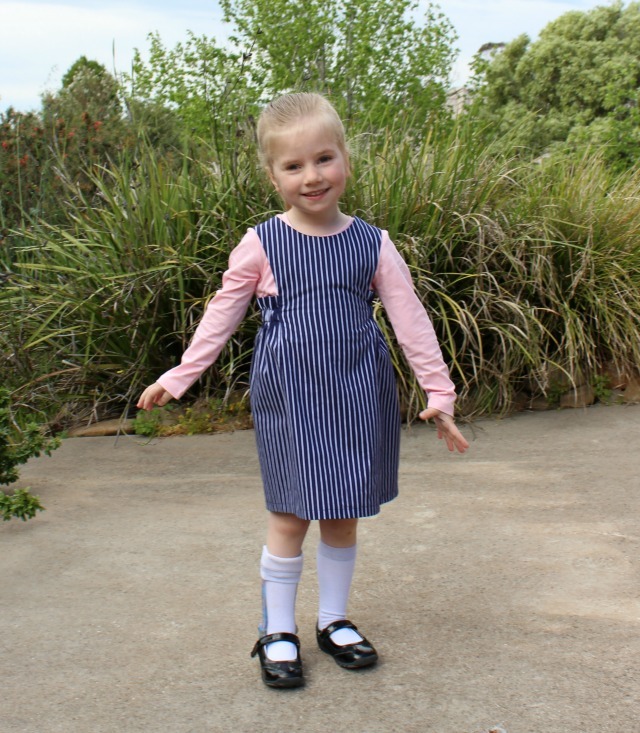 I went for the crossover as you can see and it was a seriously quick sew! I made a straight size four but I''m wondering if I'll use a slightly bigger piece of elastic in the back as it does seem to be pulling a bit over the chest. I do like how it has a high back though, that's a lovely design feature. All in all I like how it's turned out and will probably make another one some day. I was worried this might look a bit school uniform-ish in this fabric so I might try something a bit bolder and more colourful next time.